Autumn has arrived and already a few leaves are starting to fall in my York garden. Here are my top tips for keeping your garden hedgehog friendly during these golden months. It’s really temping to be tidy and remove all the leaves but you’ll be robbing a hedgehog of a cosy Winter nest. Hedgehogs prefer to use dry, medium sized deciduous leaves for their nests. Oak, hazel beech are fantastic along with leaves from fruit trees like apple and cherry. Rake the leaves into piles and leave some underneath something to keep them dry, like a piece of wood propped up against a fence. I also leave piles of hay around the garden underneath similar shelters. A natural hedgehog nest in a pile of deciduous leaves. This one has sadly been disturbed – the hedgehogs would not normally be exposed like this. Piles of leaves also provide places for insects to hide away over Winter – providing valuable food for foraging hedgehogs, who may continue to search for food well into Winter. Recent research suggests that hedgehogs will make use of manmade hedgehog boxes. Now is a great time to be putting one out, filled with fresh dry hay. I recommend a sturdy wooden one to provide the best protection against the elements and predators. Where you position it is also very important so please watch my video on how to do this. Don’t be tempted to check any hedgehog boxes that you may already have out unless you are absolutely sure they are empty – many hedgehogs have a second litter of babies around this time. I hate strimmers. I cut my wildflower meadow area by hand. Many hedgehogs continue to be maimed and killed by these awful contraptions by people tidying up their gardens for Winter. If you absolutely must use one, check carefully for hedgehogs and other wildlife first. Don’t be tempted to later burn the beautiful piles of leaves you create this Autumn. They are much better left as homes for wildlife and insects. But, if you really must have a bonfire, here is how to do it safely for wildlife. Hopefully you’ve already planted your wildlife garden with the aim of providing food for wildlife all year round and you can relax and admire the beauty and feast provided by your Autumn garden. If not, there is still time to plant now for this year and next. I love Sedums, Wallflowers, Dahlias, and Echinacea to provide Autumn nectar and ground cover. You can read more here about why insects are so important for healthy hedgehogs. A good wildlife garden should still be providing plenty of wild food for hedgehogs well into the Autumn but continuing to provide supplementary food and water is still vital. Hedgehogs need to build up their reserves for the long Winter hibernation. Although some larger male hedgehogs may start to hibernate as early as September if the weather is cooler, many females have second litters around this time. They won’t hibernate until the babies have left home and the babies face a battle to get up to weight before Winter. If you are doing all these things, there is still plenty of time for your visiting hedgehogs to get up to weight prior to hibernation. It isn’t time to be worrying about them yet. Hedgehogs need to be 650g+ to have the best chance of surviving hibernation but more about that soon. I run a hedgehog hospital in York, England. You can read more about me and my work here. 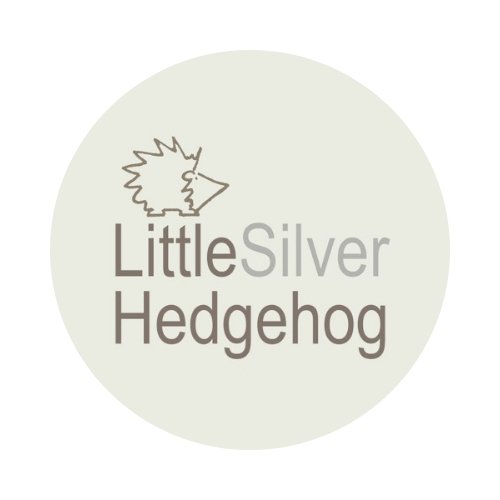 I also make silver jewellery inspired by nature and wildlife to support my awareness work. You can visit my online shop here. Previous postDo hedgehogs use hedgehog houses?